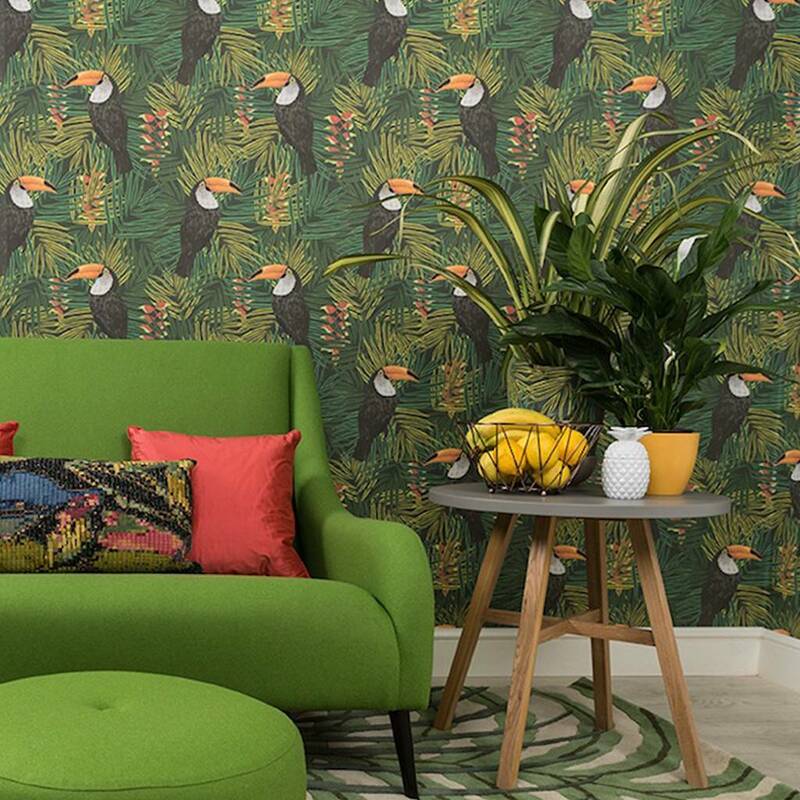 A beutiful and intricate jungle themed wallpaper enhanced by a hand drawn Toucan illustration. 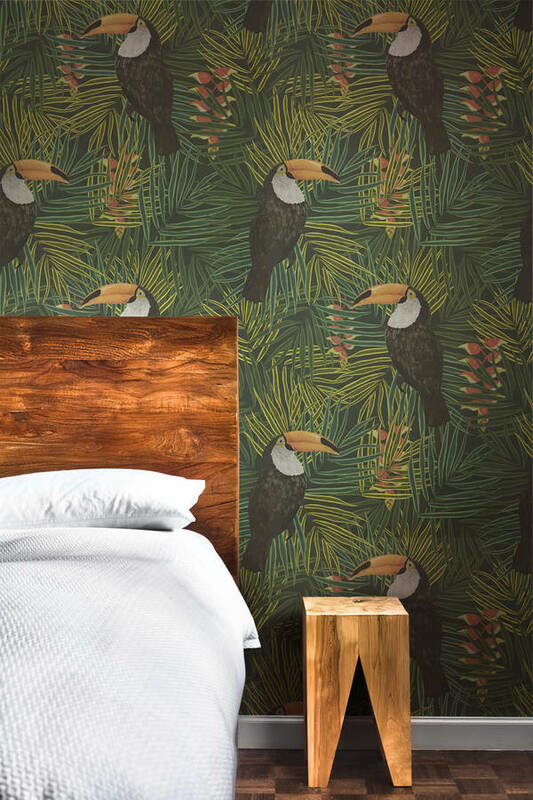 The perfect wallpaper to make a bold statement. 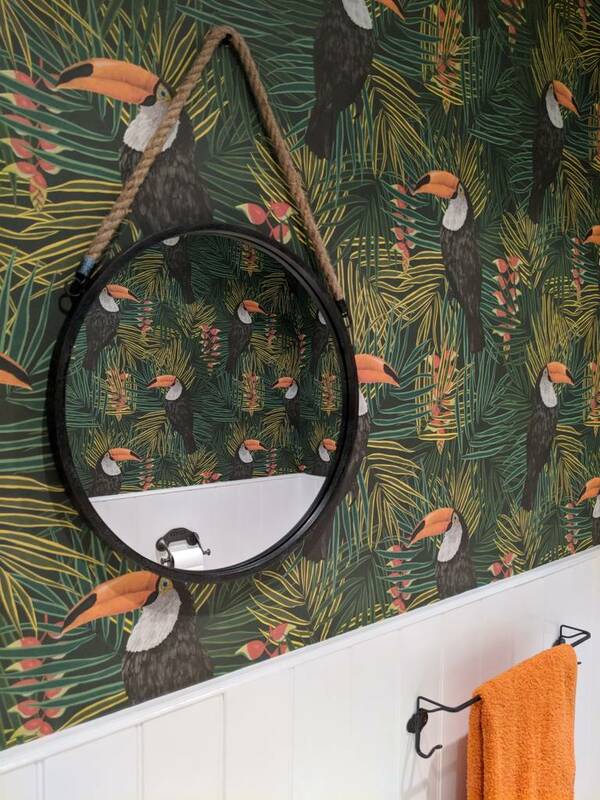 Available as a full roll or as a sample.